This Cookies Policy was updated on 26/03/18. 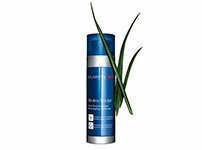 Clarins places great importance on the protection of user’s privacy and its obligations in accordance with the legal provisions in force. 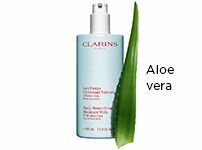 While visiting our site clarins.co.uk, information about the browsing data we receive from your data terminal (computer, mobile, tablet, etc.) may be stored in "cookies" installed on your device. This page makes it easier to understand how cookies works and how to manage your preferences. 1 - What is a « cookie »? A « cookie » is a text file that can be stored, subject to your consent, in a dedicated space on the hard drive of your data terminal at the time of your visit to an online service through your web browser. A cookie file allows the cookie issuer to identify the data terminal in which it is stored throughout the cookie's period of validity or registration. Only the issuer of a cookie is likely to read or change the information contained in such cookie. 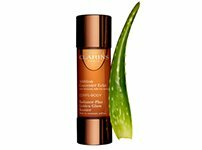 2 - How are the cookies issued from clarins.co.uk used? Subject to your choice to allow cookies, when you open our site, we may install various cookies in your data terminal allowing us to recognize your device’s browser for the duration of the cookies’ period of validity. implement security measures, such as when you are asked to log in again to consents or a service after a certain period of time. We will notify you of the purpose of cookies known to us and of the ways that you can choose to accept or reject cookies. determine the advertising content likely to correspond to the interests of the user of the data terminal based on browsing data. These cookies mainly depend on advertising agencies. We cannot list them exhaustively. We are likely to include software applications from third parties on our site which allow you to share the content of our site with others or to inform others about your visit or your opinion on the content of our site. This is particularly the case with the "Share" and "Like" buttons on social networks like "Facebook", "Twitter", "LinkedIn "," Viadeo", etc. We have no control over the processes used by social networks to compile information about your visits to our site nor any related personal data they may have. We invite you to review the protection of privacy policies of these social networks in order to understand the purposes behind the collection of browsing data they can compile through such buttons, especially as regards advertising. The policies of social networks must allow you to exercise your personal choice through your account settings. Adobe Flash Player"™ is an application that enables the rapid display of dynamic content using the "Flash" computer language. Flash and other similar applications store settings, preferences and usage date using a technology similar to cookies. However, "Adobe Flash Player" ™ handles this information through the use of an interface different from that provided by your browser. 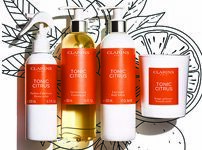 3 – How to exercise your choice regarding cookies issued from clarins.co.uk? You can exercise your choice at any time and change and your choice as described below. We assume no responsibility for consequences related to the degraded operation of our services resulting from us not being able to store or view the cookies necessary for the full functioning of our site and services. Each browser has a different way of managing cookies and cookie settings. The configuration of your browser is described in its help menu which will inform you of how to change your cookie settings. You can click on the desactivation links of this page. Note that the deactivation of advertising cookies does not preclude the display of advertisements on your data terminal. It will only block the technologies that can adapt advertisements to your browsing data or your interests. Please also note that for us to respect your decision, we need to use a cookie. If you delete all the cookies stored on your data terminal (via your browser), we or our service providers will not recognize that you have chosen this option. The digital advertising professionals of the European Association EDAA (European Digital Advertising Alliance), managed in France by the Interactive Advertising Bureau France, offers a website at Youronlinechoices. This is a centralized European interface that is shared by hundreds of internet advertising professionals allowing you to express your acceptance or rejection of cookies which may be used to customize the advertisements displayed on your data terminal to your browsing data. Note that this does not preclude the display of advertisements on the websites you visit. It will not block the technologies that can customize advertisements to your interests.